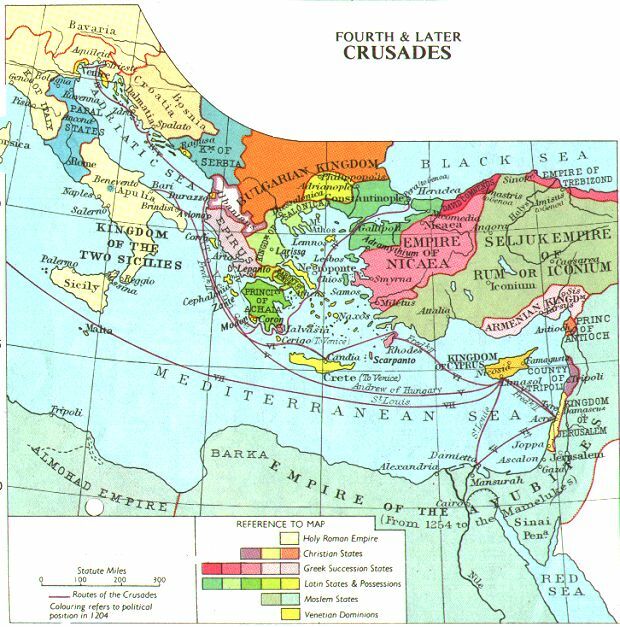 An extensive history of the Crusades. A large and still growing section of very clear and attractive maps (and remakes), an in-depth chronological overview, a large segment on Crusader castles, an extensive bibliography – and much more about the Crusader area. The Online Reference Book for Medieval Studies’, an online encyclopedia, crusades page. Background essays and links to related sites. Detailed map with routes, set in 1204 AD. 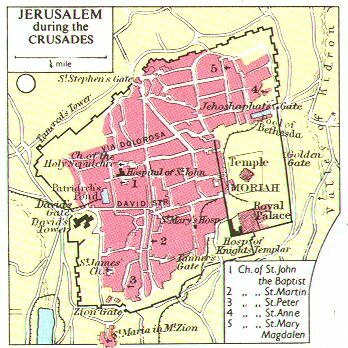 A map of Jerusalem with locations of major churches and gates. 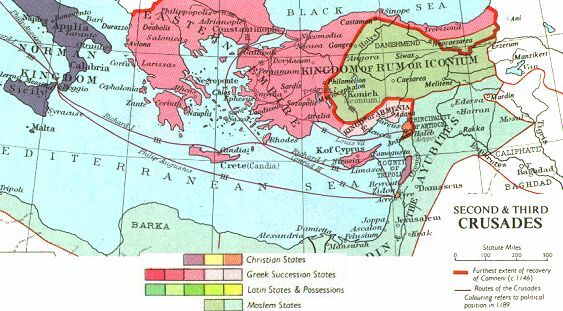 Map of the territories held during the second and third crusades, political boundries c. 1189.